Based on the book of the same name, this is a perfect family film. It’s the tail tale of Bella, a rescued pup whose loving family relocates her temporarily to try and keep her safe. She misses her people though and travels more than 400 miles—a two year journey—to return home. If you’re old enough to remember Homeword Bound, you get the idea. It’s sweet, heartwarming, with a little adventure to boot as Bella touches lives as she travels. When director M. Night Shymalan brought Unbreakable to theaters in 2000, no one knew it was the start of a larger story. It wasn’t until 2017’s Split that, much to everyone’s surprise, we discovered it’s set in the same Unbreakable universe. 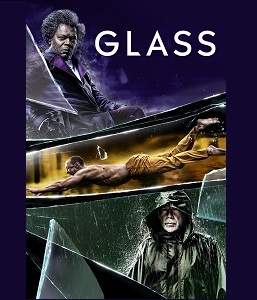 Now the trilogy comes to its conclusion with Glass. Admittedly, reviewers didn’t love it—but audiences certainly have! It’s a totally differen—and interesting—spin on super heroes (and villains) than you’ll get at a Marvel movie. Starts April 16, rated PG. Don’t scoff! This movie has an 83% critics score and a whopping 93% audience score on Rotten Tomatoes. If your kids are fan of this universe, this one’s worth watching. Starts April 16, rated PG. This didn’t hit huge in the theater, but it’s gotten solid praise all the way around. It’s the Excalibur legend retold in modern times. It’s fun, likeable, and charming.